We love you very matcha, Serenitea! 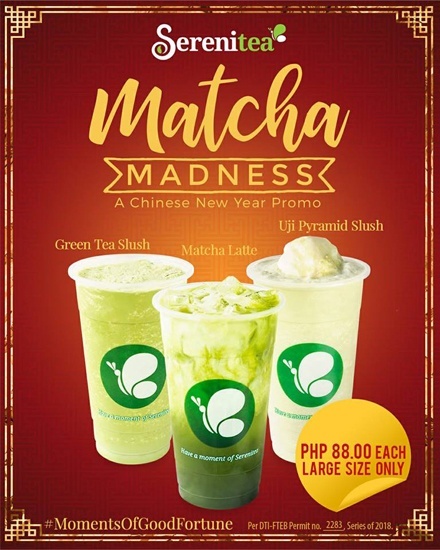 (SPOT.ph) A few days may have already passed since Chinese New Year, but Serenitea isn't done spreading some good fortune—and helping you save a few bucks, too! Green tea is a Chinese favorite, and if it's yours too, you're in luck because Serenitea is slashing the prices of their Matcha Drinks. 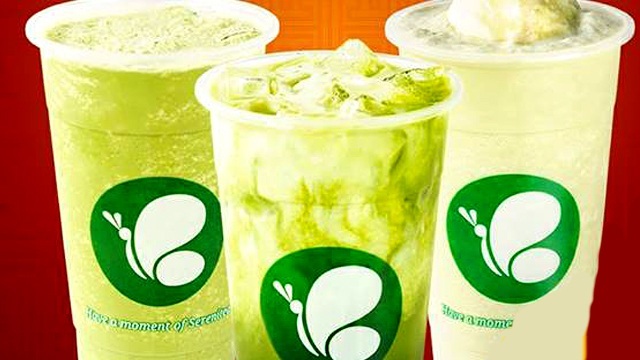 Until March 16, get a large Matcha Drink for only P88. Included in the promo are their Green Tea Slush, Matcha Latte, and Uji Pyramid Slush. A Large order of these drinks usually go for P155 so you're saving yourself P67. You can pocket the change, or you can order their best-selling Chicken Chops to go with your drink—we know we're choosing the latter.